Now, if you know me, you know I love a good knitted jumper. Being at uni and having very limited storage space makes winter a nightmare, with one jumper taking up the space of 3 tees and 2 pairs of jeans. I’ve had to leave some of my beloved knits behind, but I have managed to squeeze a few new ones in, including this New Look one. 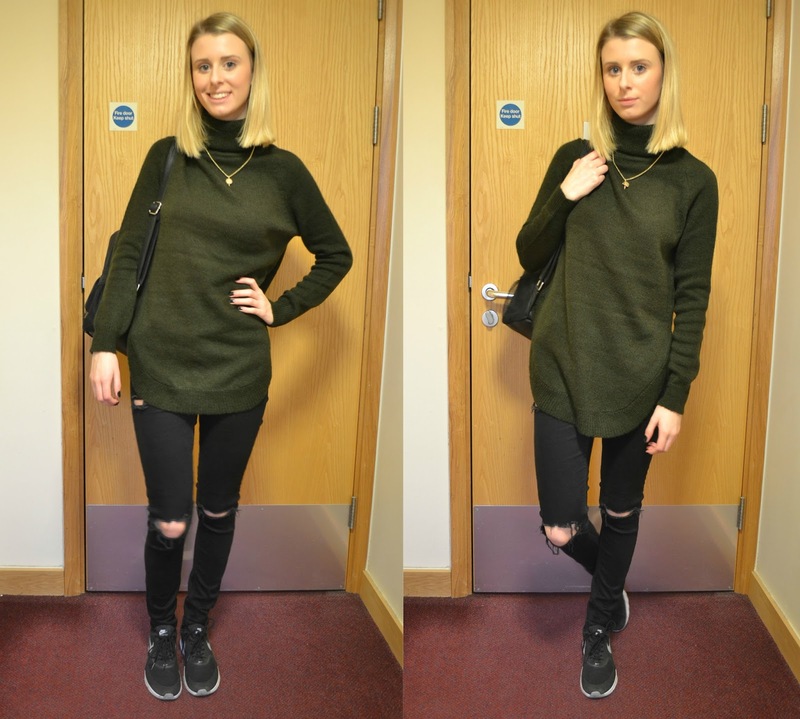 New Look have a massive range of jumpers and knitwear but this particular piece stood out – I’ve been crushing on the colour khaki for a while now, and love the look of khaki and black together. The curved hem detail and high neck make it a real win-win jumper and definitely worthy of that limited space in my uni wardrobe.